Gdansk and the Tri-City in general have emerged as a powerful player in the world of culture. Along with the vibrant thespian scene and a whole host of festivals and exhibitions, one will find plenty of world-class museums worthy of attention. Museums in Gdansk, Gdynia and Sopot cover the whole cultural spectrum - both in form and time. For the lovers of everything ancient, the Archaeological Museum will not disappoint. Many of the world's top archaeologists are Poles and some of their finest finds are on display here in the Tri-City. 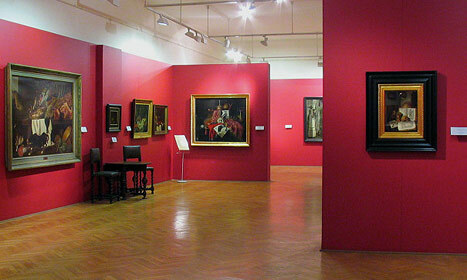 The Historic Art Division of the National Museum in Gdansk is certainly also worthy of a visit. For lovers of this fine city itself, a visit to the Museum of the History of the City of Gdansk is a must. Few places on this planet can boast a history as colorful as Gdansk. Throughout the ages, this vibrant metropolis has belonged to several countries and has enjoyed some time under its own, independent authority. When visiting, be sure to check out the Historic Town Hall, the historic Polish Post Office Museum (commemorating the building's defense at the outbreak of World War 2), Artus Court, or the Museum of Tower Clocks. For those who prefer slightly more modern exhibitions, the Museum of Sport and Tourism might be of interest. Naturally, a visit to Poland's coastal king is not complete without delving into the culture of the sea! Here the Tri-City has few peers: A host of Maritime Museums and Aquariums will satisfy your craving. Be sure to visit the Gdansk Nowy Port Lighthouse as well for one of the finest views you'll ever enjoy. We've compiled a list of the Tri-City's finest in our culture section. If you've got the time, see them all! OK, culture vultures, happy scavenging! The Museum of Sport and Tourism has been definitively closed.